We build leaders and doers behind grassroots, world-changing ideas. Apply to the MovingWorlds program that aligns with your goals. We help social enterprises build skills & capacity to make a bigger impact. Our award-winning programs help companies scale social impact. 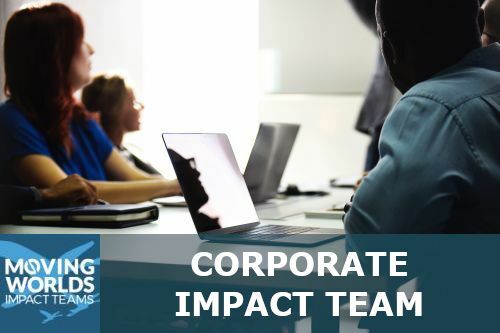 We've built award-winning programs that help professionals make a real impact with their skills, while growing as world-positive leaders in the process. Join one of our programs to build your skills, expand your network, and make a real impact. Receive on-demand training to prepare for an impactful, cross-cultural experience. 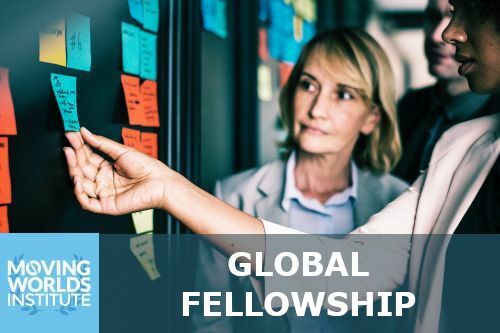 Join Impact Teams or the Institute Global Fellowship for extra training on human-centered design, social entrepreneurship, impact investing, and other leading social-impact frameworks. Get guidance on how to best apply your skills overseas folloring our Experteering matching and planning process. Join a community of like-minded changemakers from around the world. MovingWorlds Institute Fellows get the chance to meet in person at a live kick-off weekend. Be guided and coached through a personal debrief process to reflect on your experience and publish your own capstone. Contribute your story, share your failures and successes, and inspire others towards purpose. Connect with like-minded professionals to expand your network once you return home. And join us in moving worlds. Develop as a more innovative leader. Make your organization better. Grow as a purpose-driven leader. Align your career for social impact. Our global network helps us find you inspiring projects where you'll make a real impact along your learning journey. We work with impact investors, foundations, social enterprise hubs, and social business accelerators to find you high-impact projects around the world where you can volunteer your skills in exchange for a free place to live. Some even provide meal and travel stipends for the right expertise. Find the best project. Make a real impact. Be transformed in the process.